Recently I traveled to New York and attended Affiliate Summit East 2014. My primary reason for going, aside from seeing industry friends I don’t live near, was to speak during the Ask the Experts session on Utilizing Affiliate Manager Relationships. 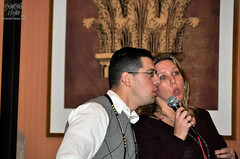 However, a fun opportunity presented itself: being the official photographer for the invite-only Affiliate Karaoke event. Affiliate Summit has often, in the past, built fun networking opportunities into the schedule. 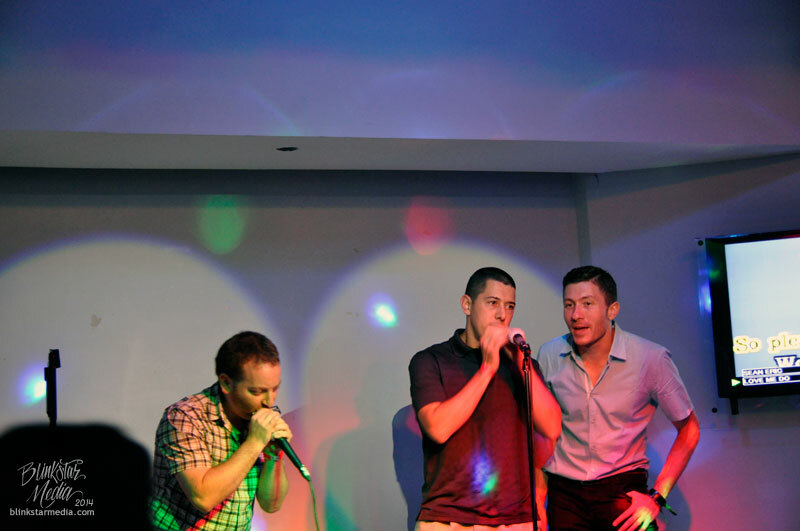 For a few conferences, this included a fun karaoke party. It gave attendees a chance to let their hair down, have some drinks and some fun, and do some networking in the back of the room. As the conference has grown to over 5000 attendees, these after-hours events have stopped being included in the official schedule in lieu of a string of private or third-party sponsored events. 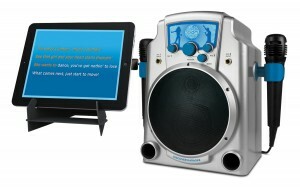 Back in 2012, at an Affiliate Summit sponsored karaoke party within the conference hotel, the DJ was particularly bad. He had a poor selection, bad monitors with burnt out pixels, and keep repeating the phrase “we’re going to keep this party going!” about 50,000 times. So much so that we made a drinking game out of it. 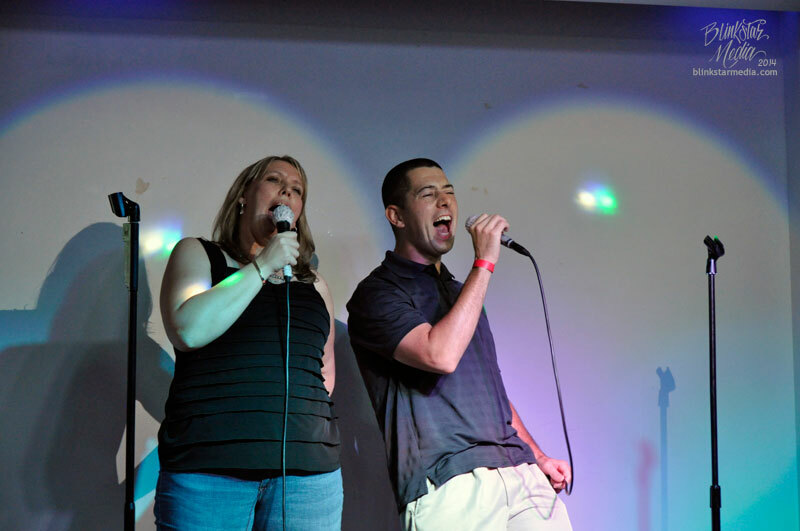 Since Affiliate Summit stopped putting on official karaoke parties, a group of attendees went out in search of karaoke on the Monday night of Summit. 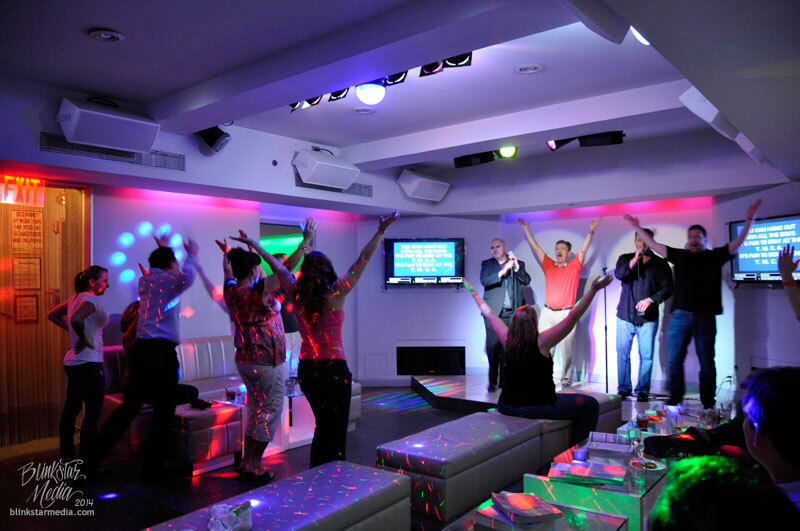 At Affiliate Summit 2014 in Las Vegas, they ended up at a somewhat seedy casino off-strip with locals during a weekly karaoke night. I was not there, but I heard awkward things. 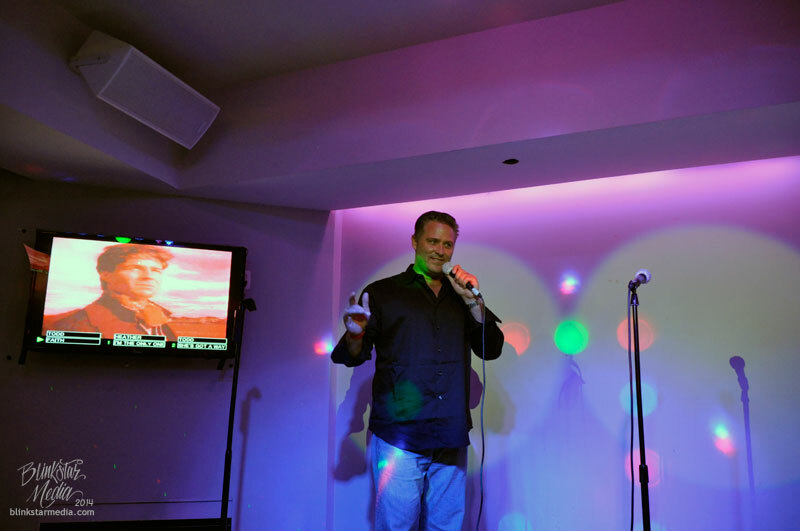 A group comprised of Tricia Meyer, Eric Nagel, and Nathan Smith decided to keep the party going at Affiliate Summit East 2014 and solicit sponsors for a private invite-only affiliate karaoke party at Pulse Karaoke NYC, a few blocks from the conference hotel, the New York Marriott Marquis. I entered a contest to win a ticket, and the organizers asked if I’d like to take photos of the event in exchange for a ticket. Of course, I jumped at the opportunity! 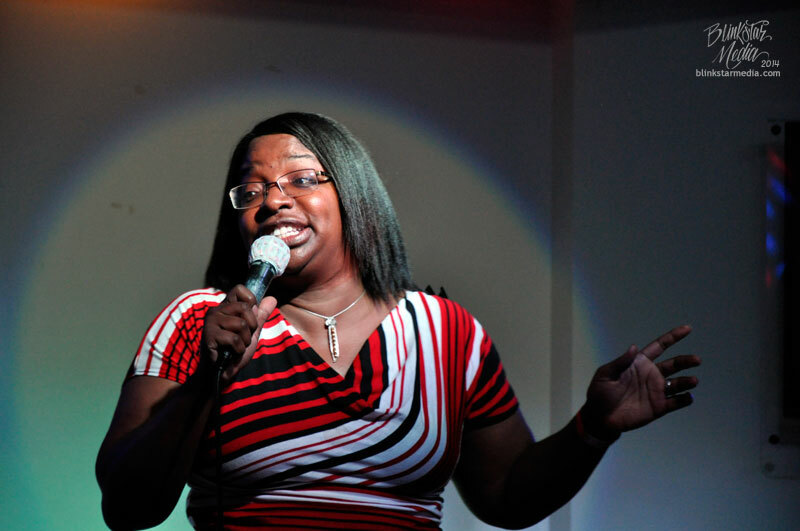 I submitted all of the photos to the Affiliate Karaoke team, however I can share a few of them here with you. I was very lucky that the lighting in the lounge was not as dark as I’d expected, and lent itself to some very cool shots.